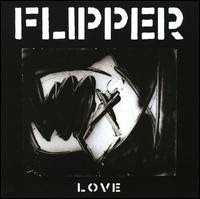 Like sardines with an impossibly distant expiration date, Flipper's first studio album in 16 years is grungy goodness straight from the tin. With Krist Novoselic on bass and Jack Endino producing, there are even moments reminiscent of Nirvana's Bleach, albeit without Kurt Cobain's songcraft. (Check out the opening of "Triple Mass," in which the bass burbles up and the guitar materializes out of feedback.) Former bassist Bruce Loose has stepped up to the mike, rasping and snarling over the blunt-force dredge 'n' roll supplied by Novoselic, drummer Steve DePace and guitarist Ted Falconi. "Old Graves," the album's plodding highlight, recounts a car plowing through a children's stick ball game. The foreshadowing is wonderful, with Flipper enacting a wordless grind for two-and-a-half minutes before Loose comes in. His voice numb, he hints at the tragedy by pointing out objects that passersby would take for granted, ones that blend into the background of life: "A piece of chalk / laying on the ground / broken on the sidewalk / The old frayed knot / moldy with rot / once was a jump rope / on the tree trunk." Chilling. The lineup was intriguing enough to set imaginations in motion: What would you get with a combination of Cheap Trick (Bun E. Carlos), Fountains of Wayne (Adam Schlesinger), The Smashing Pumpkins (James Iha) and Hanson (Taylor Hanson)? It turns out, not much worth imagining. 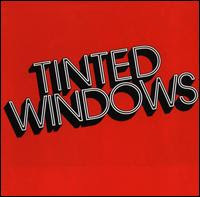 Tinted Windows' debut endeavors to propel us on a sugar-addled spree, to have us bobbing along to fizzy pop-rock love songs sprayed out in a sheen of onomatopoeic choruses. ("Uh oh / uh oh / uh oh / woah woah woah," goes the one from lead-off cut "Kind of a Girl"). Yet the set hurtles beyond radio-friendly, threatening to fall into Radio Disney land. And while it's true that Hanson could be seen as precursors to the Jonas Brothers, Hanson made fluff, not drivel. Tinted Windows have more talent among them than a whole army of Jonas Brothers, but would they gain much comfort from that categorization? Schlesinger was the chief songwriter here, but banal has replaced his standard clever, and the riffs and lyrics allegedly inspired by that never-run-dry stand-by, love, feel more like well-meaning fakery than true-to-life ardor. Repetition is fine until it turns into redundancy -- which makes electronic dance music perhaps the most subjective genre to hold to those terms, since it's built on repetition. 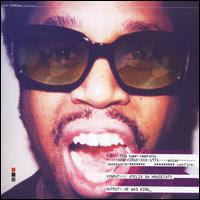 He Was King has plenty of promising moments, such as the dubstep-style "Kickdrum," which blows out the instrument and features a menacing spot from M.I.A. warning of its carnal power. Yet these moments are often squandered. "Kickdrum" soon shows its hand, revealing itself to be little more than level-adjusting and knob-twiddling over her vocal loop. Similarly, "Elvi$" starts with an immediately grabbing sparkly synth line but then has it cascade over a static beat and robotic murmuring, without change, for 39 seconds. Any novelty or exhilaration that synth line possessed bleeds out as it rapidly devolves from exciting to tiresome. Felix engineers an engine-like rise and begins to develop the track, but the synth line is more handicap than foreplay. He Was King peaks early, with an ode to Prince that borrows his mojo. If only Felix had also applied it to the songs in need.